Flip a coin. 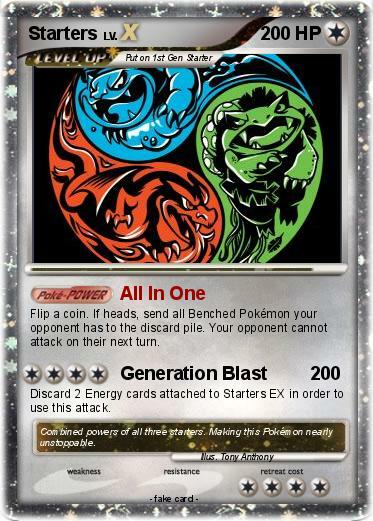 If heads, send all Benched Pokémon your opponent has to the discard pile. Your opponent cannot attack on their next turn. Discard 2 Energy cards attached to Starters EX in order to use this attack. Comments : Combined powers of all three starters. Making this Pokémon nearly unstoppable.